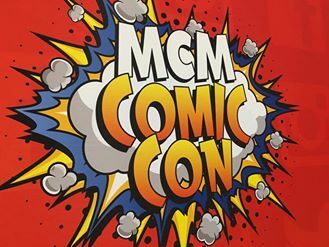 A couple of weeks back, Dan and I attended our first ever MCM Comic Con, along with a couple of our friends. Since meeting Dan my love for the comic and gaming universe has grown wildly. I had always wanted to attend one of these events; a place filled with like minded people, no judgement, and just, well, fun. Sometimes its good to be able to jump into a new role and be someone else for a while. 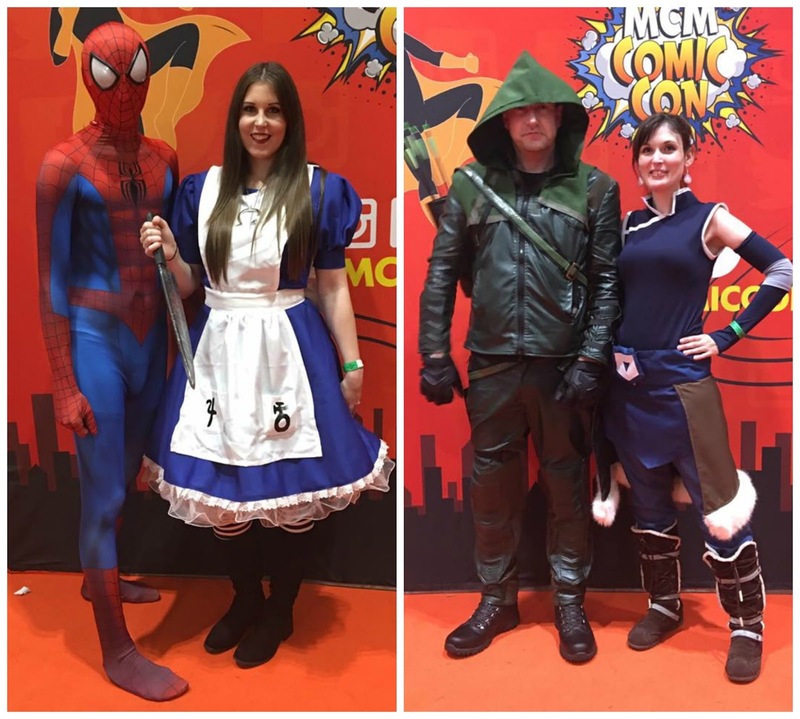 We read that around 80% of the attendees to this event go in costume (or 'Cosplay'), and we wanted in, so we started hunting for costumes. After much brainstorming Dan decided that he'd dress up as one of his favourite heroes; Spiderman. 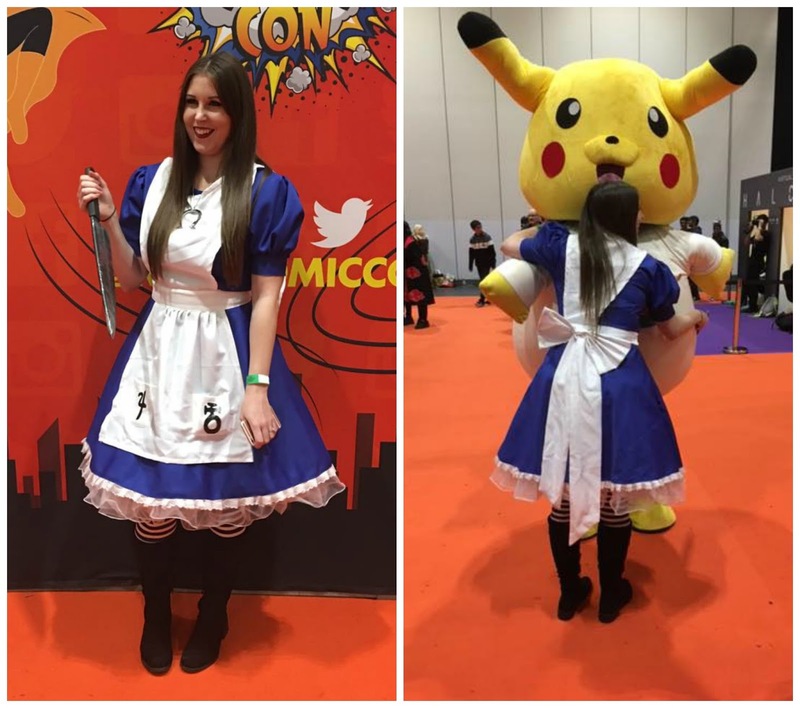 And, I decided that I'd like to go as Alice McGee ; shes a dark twist on the regular Alice we all know, and she features in one of my favourite games - 'Alice; Madness Returns'. We arrived at the event and I was immediately overwhelmed - in both good and bad aspects. The location was packed, and I mean super packed. I don't like crowds, or tight spaces and this queue was both of those, but I distracted my mind by looking around at some of the other cosplays. They were fantastic. A Batman so screen-realistic I could swear he just flew in from Gotham. A Joker with a golden, menacing smile and a floor length purple jacket. A Princess Cinderella in the gown of my dreams. People were serious about this and the effort in these costumes blew me away. After queuing and receiving our wrist bands (which totally spoiled our costumes by the way - not cool Comic Con), we walked through to the event. It was buzzing. People smiling, laughing. Cameras snapping. Music. There was a really special feeling. 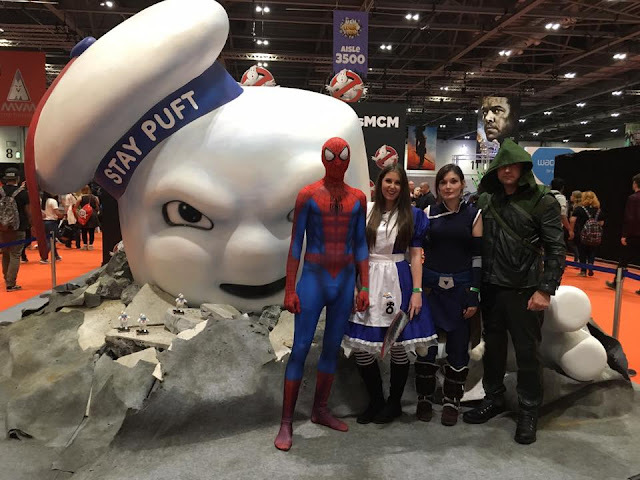 People pointed at costumes they recognised and smiled. We met some really good folk. There was plenty of shopping opportunity at the event - everything from Japanese Kawaii items and food, to artists selling their original comic artwork. 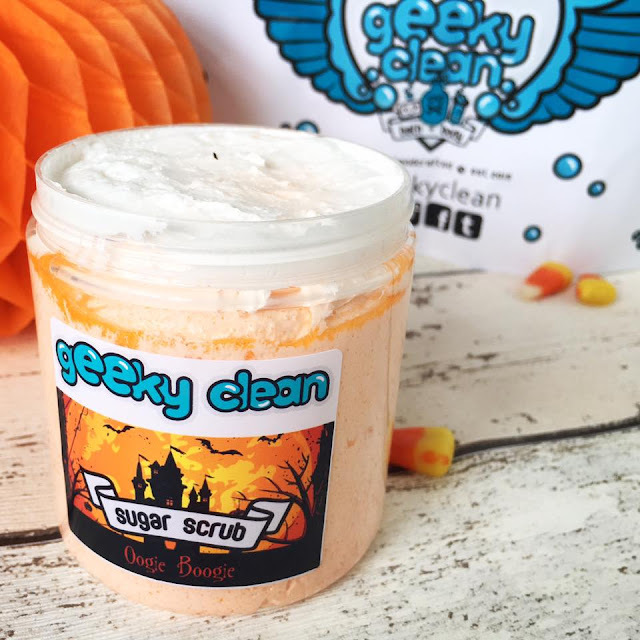 One booth I was eager to find was one I'd read about on the Comic Con Facebook event called 'Geeky Clean' - a small company selling handmade vegan beauty products based on geek culture. We stumbled upon it by happenstance and, oh, I could have stayed there all day; candles, bath bombs, body scrubs, lip balms, face masks. It was heaven. I reveled in smelling every single item, taking it in. A little orange pot caught my eye, 'Oogie Boogie' body sugar scrub. It was part of the Geeky Clean Halloween collection, and it was just adorable. The kind gentleman running the booth invited me to open the tub and look inside; a gorgeous orange scrub topped with a layer of marshmallow like fluff. I was in love and had to have it. £7 - a bargain. This scrub makes my skin super soft and I have enjoyed many a bath with it. It seriously goes a long way and the semi-coarse scrub combined with the delicate, fluffy marshmallow is just the perfect combination. After exploring the Geeky Clean website I am so excited to give their monthly subscription boxes a try, at £15 for 5 hand made products they are a bargain and this month features a 'Suds and Spells' theme and looks perfect for the Harry Potter fanatic! I am so excited to visit Comic Con again in May 2017, Im gonna have to up my costume game (I'm considering Princess Rapunzel), and I am hoping that Geeky Clean will be making another appearance so that I can take full advantage and stock up!